A pleasant boat ride away from Dubrovnik the archipelago of Elaphite islands is a perfect destination for a day trip. Located between Dubrovnik and the Peljesac peninsula to the north, the Elaphites got their name from Greek word "elafos", meaning dear - in ancient times the islands were home to a large deer population. The Elaphite islands are covered with Mediterranean evergreen vegetation. Only three of the islands are inhabited: Kolocep, Lopud and Sipan. Kolocep and Lopud are entirely car-free, which means they are ideal for relaxed summer holiday. Islands can be easily reached by Jadrolinija's passenger boat running from Gruz port several times a day. You can also reach Sipan by catamaran Nona Ana which runs during the summer months from Dubrovnik to Luka Sipanska. If you need to take your car from Dubrovnik to Sipan there is a Jadrolinija's car ferry running to the port of Sudjuradj. 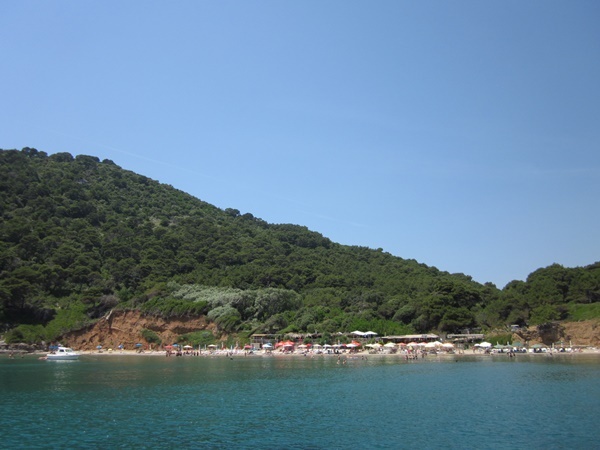 The most visited island is Lopud because of its beautiful sandy Sunj beach, which is located on the opposite side from main village (where boat arrive). This sandy beach with its shallow water is a popular summer spot for both local people and tourists during the summer. On the beach you can rent a deck-chairs and parasols. There is a beach restaurant/bar where you can taste light meals and refresh yourself. The island of Kolocep is situated closest to Dubrovnik and is the smallest of main three islands. It is ideal for relaxing and taking a walks on the paths below through its pine forests. This island has great sandy beaches with clear sea. There are also a number of interesting churches on the island: Church of St Sergius, Church of St Nicholas and Church of the Holy Trinity. Sipan is the largest island of the Elaphites and has the most inhabitants. This island is popular for its numerous churches. If you wish to visit each island in one day you should book an organized boat tour departing from Dubrovnik. On historic galleon you will have a time to explore each island with a bit more time on Lopud to enjoy sunbathing and swimming. You have a choice of taking your private sailing tour (with skipper) who will take you to hidden spots where you will be able to swimm and sunbath. If you are more active person take a kayak tour to explore the islands.